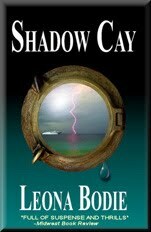 Shadow Cay is Bodie's debut thriller novel. It has recently received endorsement from the president of the Florida Association of Forensic Professionals, and on October 23, 2010, it was named a Royal Palm Literary Award winner in the thriller/suspense category by the Florida Writers Association. Now in its third year, The Premier Book Award recognized Shadow Cay as a must read, acknowledging it was most successful in achieving its purpose and meeting its intended audience's needs. They also recognized the novel for excellence, naming it their 3rd Place winner in the Mystery/Thriller/Suspense/Horror category. The primary goal of Premier Book Awards is to recognize authors and publishers for superior achievements. The secondary goal is to assure readers that a book is truly of outstanding and well worth adding to their libraries. 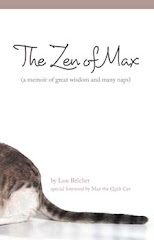 For more information about Leona DeRosa Bodie and her books, visit her website www.leonabodie.com or contact her at leona@leonabodie.com or (772) 236-8042. Shadow Cay is available at Amazon , your favorite retail bookstore, and locally at the Jensen Beach’s Barnes & Noble, the Vero Beach Book Center and Hearth & Hound Gift Shop on the island in Vero Beach.